The opening reception for Cuban Art & Identity: 1900 to 1950, which will include a lecture by curator Juan A. Martínez, will be on Friday, October 18 at 5PM. Vero Beach Museum of Art, 3001 Riverside Park Drive, Vero Beach, FL 32963. The featured image is Rene Portocarrero’s “Interior del Cerro” from the collection of Mr. Ramón Cernuda. 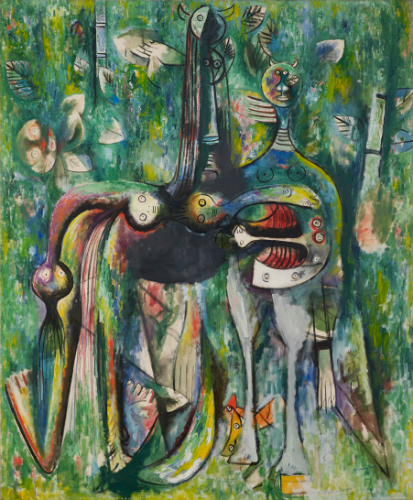 The image to the right is Wifredo Lam’s “Malembo, Dios de La Encrucijada” from the collection of Mr. Isaac Rudman.